When you look into your backyard, is it just grass? There may be a few trees back there, but there's nothing great about them. Can you imagine something more? 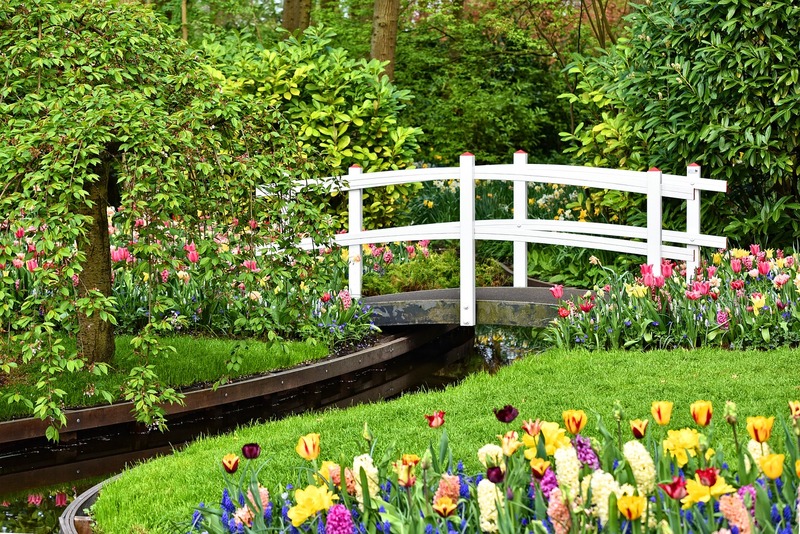 Can you envision an immaculate garden full of beautiful colors and luscious greenery? If so, then make it happen! Use that yard to the fullest. If those trees are in your way, you may have to use a licensed tree trimming service to have them removed. The other option would be to incorporate them into your grand garden design. Either way, don’t use them as an excuse not to create the vision you see. Even if your backyard is small, you can still enjoy a beautiful scene with the right amount of creativity. The British seemed to have mastered the art of tiny home gardens. Why can’t you? Not all of the grass has to go away. In fact, some design elements work best when b﻿﻿ord﻿﻿erin﻿g a well-manicured yard. Planting a flower bed that curves along the grass gives it flow that you cannot help but follow. Walking through the grass is perfectly acceptable here to get an up-close view of the flowers and colors used in the bed. Layer your plants. Put smaller ones in the front then work your way back. Use more than one type of plant in each layer. You can mix flowering perennials with shrubbery of a similar height to break up the monotony and enhance the textures of the garden bed. Your tallest plants should go in the back. These will typically be flowering shrubs of some sort. Make sure to plant more than one color in your layered bed. Just the right amount of contrast works much better than a bed of one color scheme. 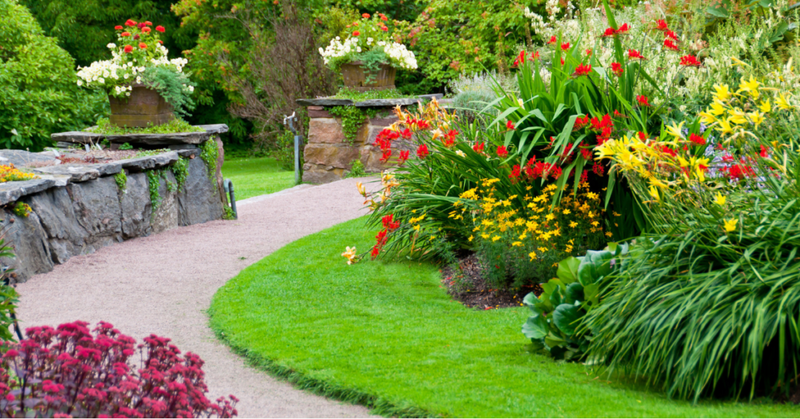 If you intend to create walkways and paths in your garden, pick out the style of pavers you want first. You don’t have to lay them down before beginning your planting but it does help if you know what they will look like so you can match the colors to any planters you might plan on using. It is not a bad idea to know this when picking out the types of plants that will be surrounding the pathways. Red flowers close to brick paving stones won’t look as good as maybe some yellow or purple ones would. You can achieve different visual perspectives by planting in different ways. If you follow As﻿﻿ian techniques, you can create a garden with not just a background and a foreground, but also a middle ground. One way to do this would be to grade your garden just enough so you can have these three depths. Also perfected in the Far East, you can use your plants to frame an object. 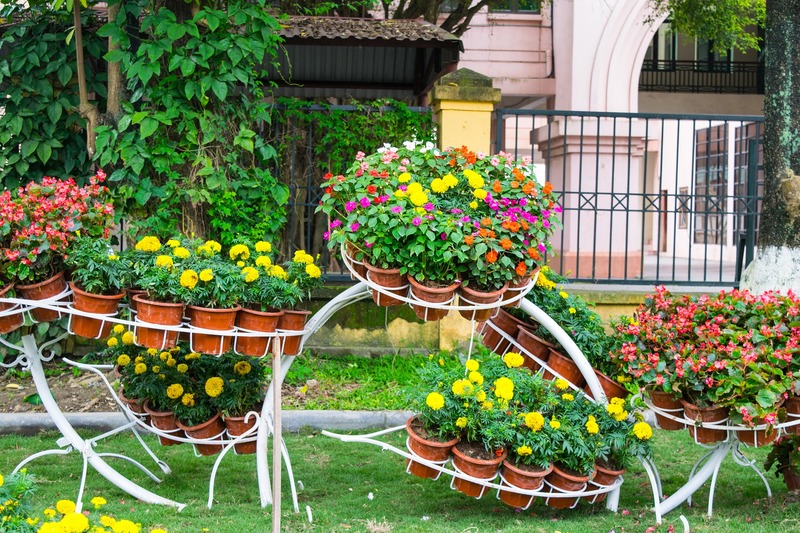 Not necessarily meaning to plant around a piece of garden art; there is more to it than that. Use the growth of your trees and shrubs to frame in on the object such as a door or trellis in the background. Your eye will focus on the central image you are trying to display. 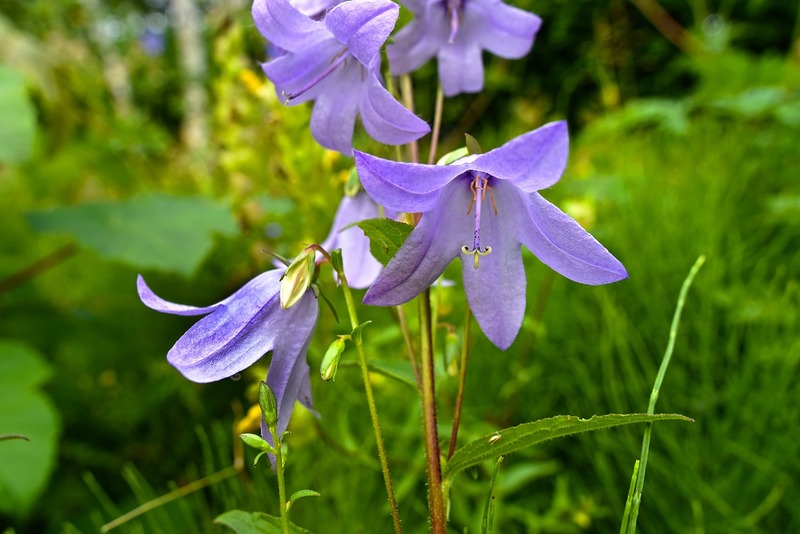 Plants that thrive in the spring and summer may not survive past autumn. Make sure you account for this when choosing the flowers and shrubs you want to plant in your beds. 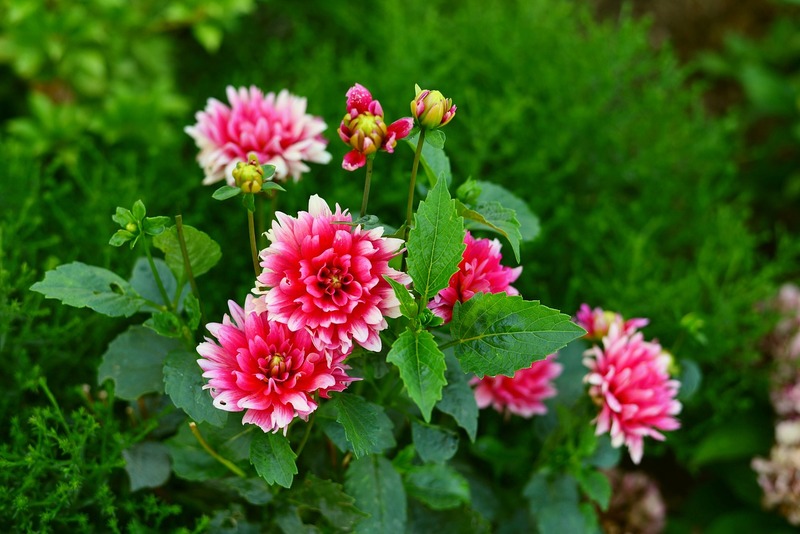 Some perennials thrive in the spring, giving you gorgeous blooms through the whole season. When summer hits and the heat increases, the flowers disappear and you are left with the greenery. This is natural; just plan around it. T﻿﻿he best time to plant depends on the plant. 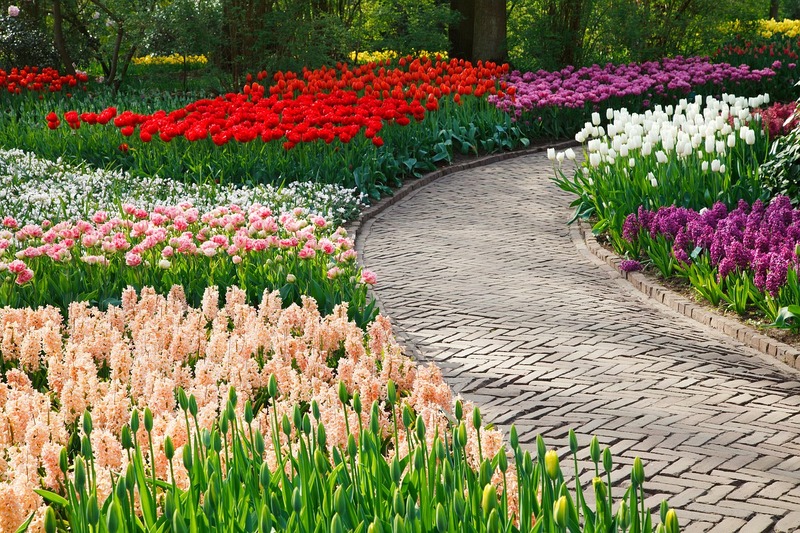 Springtime is a good time to plant your flowers and bulbs. The coolness gives their roots time to dig in before the heat of summer kicks in. Fall is the perfect time for trees and shrubs. With summer passed, there is little threat of the heat killing them before they have a chance to root. They have more time to prepare for winter. Many shrubs and trees require a certain amount of freeze hours before they will start to bloom the following spring. 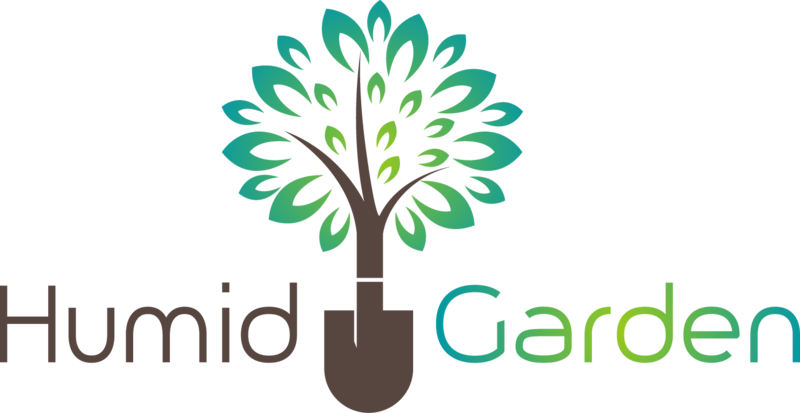 Take this into consideration as well when planting your beautiful backyard vision!